The winters can be extremely cold and the summers hot and humid in PA, so it is essential that your HVAC system do the job it is intended to do. Whether it is the middle of the winter or the middle of summer, the residents of Levittown need to know they can count on their HVAC contractors in Fairless Hills to be there when their HVAC system is causing problems. Ensuring your family’s comfort and safety goes well beyond the basic services that are provided by your furnace and air conditioner. Proper installation and routine maintenance are the main factors of a reliable HVAC system in Levittown. For this reason, the HVAC contractors of Robaire Company Inc are available 24 hours a day, 7 days a week to ensure your family’s indoor environment is comfortable all year round. Whether your HVAC system has reached its lifespan or you are searching for ways that your HVAC can help save you on energy costs, we are here for you. Whether you are worried that your HVAC may have seen its last days or you want to extend the life of your air conditioning unit in Newportville, the HVAC contractors of Robaire Company Inc can assist you. As full-service HVAC&R contractors, we understand that everyone in Bensalem has different concerns and needs, which is why we can assist you with the installation, repairs and maintenance of your air conditioner. We can set up your home so you can control your lights, shades and blinds, door locks, garage door opener and other systems while you are away. If you’re like many of the other folks in Bucks Country, you’re interested in saving money on your home’s energy costs. Our home energy audits will help to ensure your HVAC system; ductless system and/or heat pump are energy efficient. The success of your business relies on food products that are fresh! We offer commercial refrigeration services for every need to help ensure that your refrigeration provides quality performance and energy efficiency. Has your boiler seen better days? If you are noticing yellow flames, higher energy costs and hot/cold spots in your home, we are here with the indicators that help determine if its time to repair or replace your boiler. Your home heating and air conditioning in Langhorne needs to be more than just effective, it has to be efficient as well, which means an equal distribution of warmth and coolness throughout your home. Cold spots can be extremely frustrating, especially when the temperatures fall below zero outside Our HVAC contractor will perform thorough testing to help determine the air flow situation in your home, which allows us to come up with a solution to improve temperature detection. 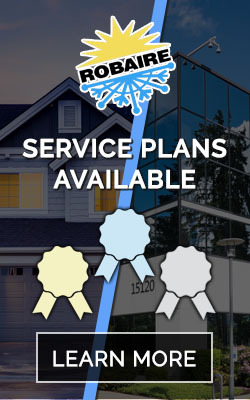 Along with our repairs and installations, we also offer a variety of service plans for the residents of Langhorne, which help to ensure your heating and conditioning are working like they should. A properly installed HVAC system is essential for functionality and efficiency, however, it also requires routine maintenance to ensure it stands the test of time. Contact Robaire Company Inc to learn more information about how to make your indoor environment comfortable. We offer 24/7 emergency service to all of our customers. You can always count on the experts at Robaire Company to get to you fast and get the job done right the first time. We use state-of-the-art diagnostic equipment to find the source of your heating and air conditioning problems and fix them fast. We offer 24/7 Emergency Service to all of our customers. We also understand the importance of being safe and comfortable in your home. Robaire Company, Inc. is a certified Trane Comfort Specialist contractor. We are licensed and insured in PA, NJ and DE. Please ask for references. Your comfort… It’s that important! Serving the HVAC&R needs of the Delaware Valley. We have built our reputation by satisfying our customers since 1985. Our technicians are continually trained and highly skilled at the installation and service of all heating, cooling and refrigeration systems. We are available 24 hours a day, ready to make a correct analysis and timely repair or replacement as needed. We know how important your system is to the success of your business. We've worked with Robaire since the late 1990's and wouldn't go to anyone else for all our heating and cooling needs. Honest, efficient, reliable with very pleasant, personable technicians. If you are looking for a reliable HVAC company with exceptional service, excellent communication, and top notch techs look no further. Robaire has been my choice since I have become a homeowner over 18 years ago. They have installed 2 Trane heating & air conditioning systems to keep our entire house comfortable. They also perform all service work on my rental properties as well. Their techs arrive when they say they will and the pricing is competitive. They take the time to explain the repairs and make suggestions on how you can make your system more energy and cost efficient. If you need HVAC work, give them a call, you won't be disappointed. Robaire was recommended to me by a good friend. Needed help a few weeks ago with my AC. Rob Baker was terrific and very responsive. Bobby had me working in short order. A terrific experience. Glad to know these guys are there for me. Thanks Rob! Have been using Robaire for 10 years and they are excellent to deal with, technicians are very knowledgeable and friendly and the quality of workmanship is very high. Had a complete AC system put in, very fair price and done in a timely fashion. On time, fair pricing and quality repairs, what more could you ask for? We have lived in Newtown for over 15 years in a wonderful neighborhood. The home unfortunately now in its 19th year was beginning to tire. We lost all three of our air conditioners which supports our 3-zone heating and AC needs. We made a call to Robaire Company who provided us immediate support and presented to us payment options that were extremely helpful given our current college costs. They replaced all three of our zone Air Conditioner units within one day and we were back in business! We strongly recommend this company and their dedication to customer support! Copyright © 2018 Robaire Company, Inc.